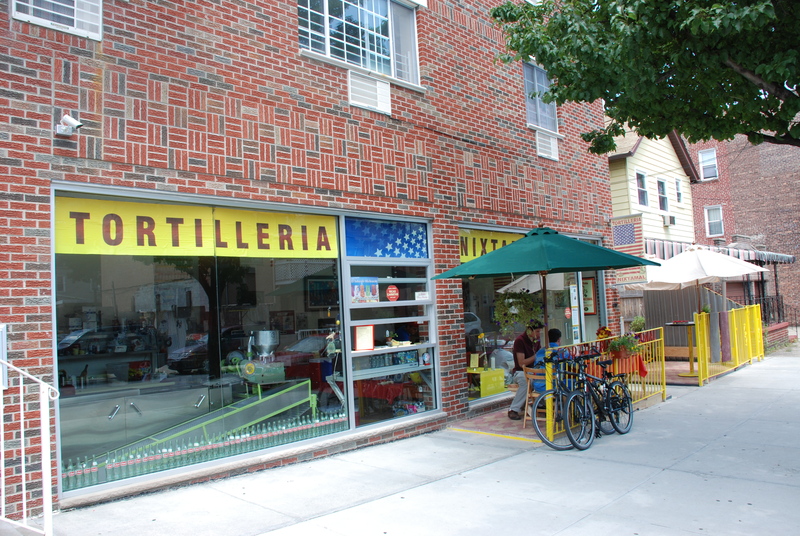 Tortilleria Nixtamal is located in Corona, Queens, started by Fernando Ruiz and Shauna Page who use 100% corn that is not genetically modified and non-transgenic. Tortilleria Nixtamal makes tortillas the way the Aztecs intended them. That process includes soaking, grinding, and shaping tortillas in a way that extracts the best flavor and nutrition from whole corn kernels—unlike most tortilla-making, which uses corn flour instead of soaked, ground kernels. This process gives the tortillas a sweeter flavor, and helps the body digest and absorb the corn's nutrients more easily. The salsas are made from fresh vegetables and natural seasonings (no canned foods or packaged herbs that contain unnatural preservatives and sodium).